Here at Gregorian Emerson Family law Solicitors we are experienced in all areas of Child law advice Guildford and can help you to make decisions, based on your child’s best interests, after a divorce. What does ‘in your child’s best interest’ actually mean? Primarily it will involve any of the decisions you will need to make, that involve their essential day to day needs. This can be things like their living arrangements, their visitation schedule between parents, the school they attend etc. It will also encompass things like their emotional and physical wellbeing and their ability to grow and develop as individuals. Every single decision that you will need to make, you should make with your child at the very heart of it. For many people divorcing can be the hardest thing you will ever have to do. A divorce or separation can be an extremely emotional and chaotic time for both parties. It can be a time of raw emotion and involve experiencing feelings that may be new to you. These can range from failure, guilt, loss of the friendship, loss of security and can also make you face up to some new traits that you didn’t realise you were capable of, such as extreme anger, frustration, bitterness and even revenge. All of these emotions can make you look at your situation with unreasonable expectations. You may feel like you will never be able to communicate, much less co-operate, with your ex-spouse ever again. However, it is at this time that you will need to be extremely mindful of your children and to be aware that if you wish them to grow into responsible, well rounded and loving individuals that you need to create the best environment for them to thrive in and that will involve making decisions between you, that are in the child’s best interests and not your own. Your children are counting on the two of you to lead the way and show them guidance in dealing with people and situations. How well you and your ex-spouse can co-parent after your divorce will make a huge difference in how your children adjust to the situation. Your actions, words and attitudes can play a huge part in how they deal with the situation and how well they ‘come through’ the whole divorce process. As experienced child law advice Guildford lawyers we totally understand that not every divorced couple can remain as good friends. However we also know that most parents can be civil, fair, even business-like in their dealings with each other and this will all help you both to continue raising your children together effectively. As long as you can put your children at the centre of any decisions you need to make, then you can rebuild your new future in a healthy and productive manner, without the need to hurt or upset the children that you made together. Even during this time of personal stress it is entirely possible to find a way to put your children’s needs above your own, after all their future depends on it! Children of divorced or separated parents can be the ones most in danger of not getting their needs met and this can be for a few reasons. Mainly it is as a result of the fact that the parents are going through such a turbulent, chaotic or uncertain time themselves they can be blinded or insensitive to their children’s own needs. It can also happen that the parents have no support through the process and thus it reflects back onto the children. Parents should be aware that these things can happen and be encouraged to take measures to ensure that they can be dealt with quickly and effectively if they do. We can help with all aspects of child law advice, our testimonials speak for themselves. There has been extensive research into how children from divorced parents feel and adjust to the consequences of divorce. Primarily these children have expressed the need for meaningful relationships with both parents along with regular contact, where possible, with both parents. They wish to feel loved, listened to and to be shielded from any ongoing animosity the parents may be going through. They express a need for stability in their daily lives and to be aware of their new routine i.e. when visitation is happening etc. If you and your ex-spouse are engaged in a combative divorce then all of these things your child is hoping for, will be severely compromised and you will definitely not be acting in your child’s best interests. It is important to remember that children will recover from your divorce, especially if both parents can be loving, caring, reliable and supportive to the children. It is important to not discuss the other parent in derogatory terms in front of the child, as this will impact them negatively and can ultimately prove harmful. You should focus on the things that you can change and not on the ones you have no control over. The way that you discuss your divorce with the children is obviously largely dependent on their ages and ability to understand the information you are providing them with. All children from babies, right through to teenagers will pick up on bad vibes, animosity, anxiety etc. between their parents, so you should be mindful of this with all interactions with your children and make sure you are putting them first and at the centre of any decisions you need to make. 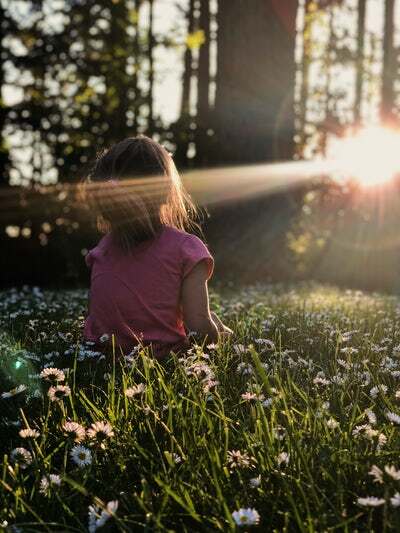 Her at Gregorian Emerson Family Law Solicitors we are experts in Child law advice Guildford and can help you to meet the essential needs of your children after a divorce. We understand the family dynamic and can help you as parents to enable you both to be able to make sure ALL decisions are in your child’s best interests. Contact us today on 01483 826470 with any child law advice queries or questions you may have.